I thought the travel gods were going to be favorable this week, starting when the rental car clerk gave me a free upgrade on a super-sporty car since I had a one-way rental and they needed to reposition it to my destination airport. Once I made it out of the rental car facility and got a few miles down the road, I discovered that the radio didn’t work. Or at least didn’t work in the conventional way, as it randomly turned itself on and off every 10 to 30 minutes and remained stuck on a static-filled station with some fire and brimstone preacher yelling at me. Did I mention the volume controls didn’t work either? There was clearly something wrong with the electrical system and the display would randomly show the back-up camera view even when I was streaking down the highway slightly in excess of the speed limit. By the end of my trip I was just glad to be back at the airport in once piece. I had been traveling with a customer laptop, and when I got home, I discovered that my trusty Microsoft Surface had undergone an automatic upgrade while I was away. It was stuck on the “updating, please do not unplug your computer” screen and when I restarted it the endless boot cycle started. This led to a multi-hour trip to the Microsoft Store, where everything seems to be the user’s fault regardless of what prompted it. They were able to undo the upgrade and redo it segmentally, and everything seems to be back on the up-and-up. Still, I’d rather have those hours back because now I’m woefully behind. It’s days like this that make me miss the corporate world, where a magical Desktop Support representative would have dropped off a loaner within an hour or so. 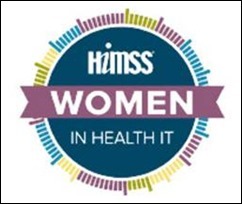 HIMSS has opened nominations for its “Most Influential Women in Health IT” awards. This is only the second year for the program, designed to recognize “influential women at all stages of their career progressions.” Nominees should demonstrate an ongoing commitment to using IT to positively transform health and healthcare as well as providing active leadership in organizational use of IT in support of strategic initiatives. HIMSS never does anything without a hook — nominees must agree that if they are selected, they will contribute two pieces of content to HIMSS via blogs, podcast interviews, roundtables, etc. Nominations must include a biographical sketch and two letters of recommendation and will remain open through August 28. ONC is continuing its “Interoperability in Action Day” series with a half-day webinar on “Advancing Interoperable Social Determinants of Health” on July 26. The session will focus on the current state of screening tools in care delivery and how they will play into new payment models, along with resources to increase tools around interoperability of social determinant data. 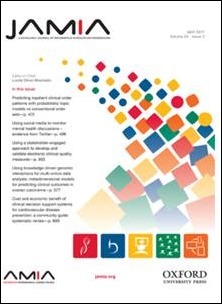 Social determinants have been used in primary care for a long time, especially in community and public health clinics. For some vendors, they’re relatively new additions to the EHR platform, feeding clinical decision support and quality measurement content as well as population health functionality. There are still challenges with communities agreeing on common vocabularies for data sharing. Other challenges include the fact that social determinants change over time and have variable impact on patient health quality. They’re often less quantifiable than physical or laboratory characteristics and combine in a multifactorial way to influence health. Discrimination, social support, and environmental factors can be hard to document in a discrete way, although other factors, such as insurance status, are easier to identify. My EHR has some optional tools to document social determinants of health. We do gather some of them, but since surrounding health systems aren’t too interested in partnering with their competition, our data doesn’t get a lot of use. CMS recently announced plans to delay implementation of the Appropriate Use Criteria (AUC) program by one year to 2019. The program mandates that physicians use clinical decision support when ordering certain types of diagnostic imaging, such as MRI scans. The clinical decision support information has to be included on billing claims. Physicians ordering too many tests without appropriate justification could be penalized through reimbursement cuts and radiologists performing studies identified as unnecessary would have claims rejected. Several advocacy organizations recommended delays. Based on some of the clunky EHR workflows I’ve seen created to handle this mandate, I hope vendors use the extra time wisely and for the benefit of their end users. The American Medical Informatics Association has expanded the publication of its Journal, to be available monthly and as an all-digital publication starting in January 2018. The publishing world has changed dramatically over the last several decades, so I’m not surprised by the change, especially from a technology-focused organization. Research is also occurring more rapidly, making the extended preparation cycle needed for a paper journal more burdensome than beneficial. I’ll miss the paper copies, which I often loaned out to students and residents interested in clinical informatics. It’s a little harder to share an electronic copy. I’ll also miss the stack of journals that motivates me to dig in and read by sitting there and mocking me. An electronic “stack” of journals doesn’t quite get the shaming done as well as paper. AMIA is also looking for a new editor for the journal, as Lucila Ohno-Machado plans to leave the position after her eight years at the helm. 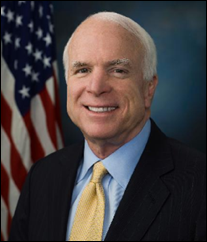 My thoughts go out this week to Senator John McCain and his family, after his recent diagnosis with glioblastoma. It’s a nasty kind of tumor that often persists despite surgery, chemotherapy, and radiation. Regardless of your politics, McCain’s reputation as a maverick has kept government activities interesting over the last several decades. He’s fortunate to be able to get care from a top-notch team and I wish him a speedy recovery. It just doesn’t seem fair that a guy who has made it through all life has thrown at him should have to deal with this. I hope the folks looking to cut funding for medical research and prevention think twice when they think of their colleague.